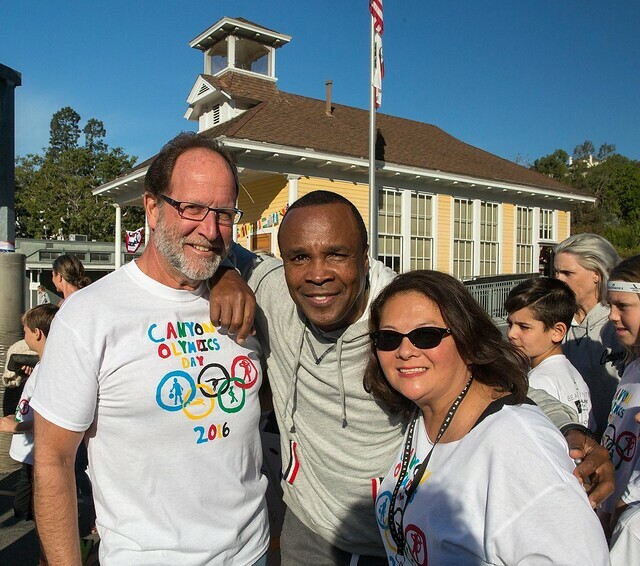 Olympics Day is one of the most memorable events for the children of Canyon. It's the only event that the children run. Literally. Olympics Day is a chance for everyone - from the most athletic, to the most cerebral, from the very social to the very timid - to achieve great things together. WHAT IS OLYMPICS DAY ALL ABOUT? Olympics Day is a remarkable fundraiser where our kids work together in competitive and entertaining ways to raise money for their school. Olympics Day is a school-wide event. Each student will receive a link to a fundraising page and each class runs for 10 minutes. Families and staff are invited to support Canyon kids who are running - and fundraising - together. Olympics Day is happening on Friday, November 9, 2018. Michelle Kwan Visits Canyon For Olympics Day 2018! A big thank you to all our generous sponsors for Olympics Day 2018!